How Do You Know When You Need Tire Repair or Replacement? 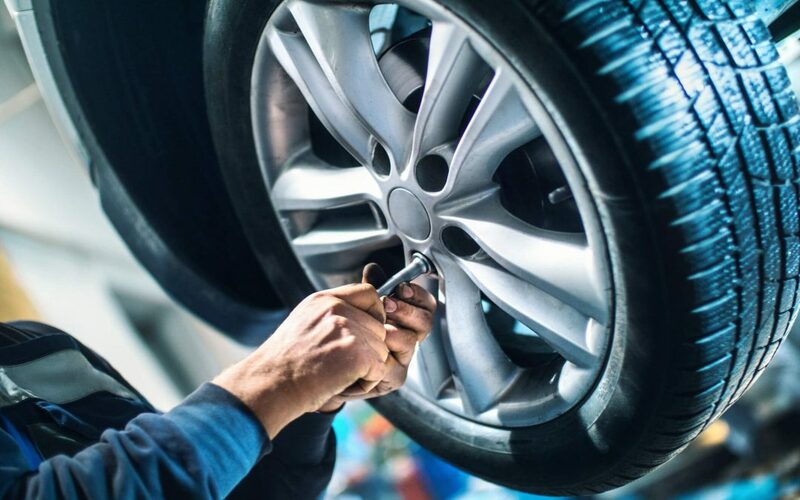 It is important to know when you should have your tires repaired or replaced, for the safety of your vehicle, your passengers, and yourself. You count on your tires for a lot. You depend on them to get you where you want to go, safely and competently. Complications or issues with even one of your tires can spell disaster out on the road. Having your tires checked regularly can help you avoid serious problems with your vehicle and personal injury. Tires should be rotated on a consistent basis anyway. That is just a part of regular vehicular maintenance. It is recommended to have your tires rotated every 6 months, or every 5,000 to 8,000 kilometers. Frequency will differ based on vehicle type, driving conditions, and what the owner’s manual suggests. So, when you are having your tires rotated, it is a perfect time to have them inspected for wear and tear or damage. However, you may notice something wrong with one of your tires before it is time for your regular maintenance. In this case, it is advised to have your tires checked immediately to see if repair or replacement are necessary. Valvoline Express Care Brampton is an ideal automotive service provider, to handle all your maintenance and repair needs. Come in and have your tires inspected for damage, get them rotated, or take care of any of your other automotive requirements. Tire damage is an expansive term that covers all types of issues that affect the overall performance of your tires. To expect optimal performance from your tires, you should be doing all you can to keep them in good condition. Due to unforeseen circumstances, there are many external factors that might compromise the quality of your tires. Harsh weather conditions, construction on the road, inadequate repair, or simply bad luck can damage your tires. Bead damage refers to issues arising where the tire comes into contact with the rim. If there is no sealed connection between the tire and the rim, beading damage is a likely result. The outcome of bead damage will generally come in the form of a significant drop in tire pressure. A quick drop in pressure can result in an explosion or the tire coming off the rim causing an accident. This can be avoided making sure you have the correct tire size for your rims, and having it installed by a professional. The main objective of the tread on your tires is to have your tire maintain a firm and steady grip on the road. If the tread becomes compromised, it can result in your car slipping and sliding. Also, if the tread on your tires are worn, it can jeopardize the effectiveness of the brakes. Less tread will mean slower stopping times, especially in unfavorable conditions. Good treads are needed for traction when speeding up, slowing down, or negotiating turns. The tread on your tires can become damaged in two basic ways: from a puncture in the tread, or balding of the tires. If you drive over something sharp, it may become stuck in your tire, slowly leaking air. Worn, or bald tires, are not safe to drive on because they lack the necessary traction to navigate the terrain and keep your car on the road. Another type of deterioration your tire may endure is sidewall damage. Sidewall damage may involve a puncture in the sidewall, or cracks forming on the side of the tire. These cracks may be cause by extreme weather, lack of pressure, reckless driving, or using poor quality products for cleaning. Underinflated or overinflated tires can cause serious problems for the overall performance of your vehicle. Improperly inflated tires can lead to worn treads, uneven alignment, reduced traction, and slow braking. Underinflated tires cause them to work harder, which can lead to overheating. Underinflated tires will wear out much more quickly. Overinflated tires cause reduced traction, uneven wear, and oversensitivity to bumps and potholes. Driving at excessive speeds will cause your tires to heat up which can result in the tread separating from the rest of the tire. It also more likely if you hit a pothole, bump, or other debris at high speeds, the outcome could be fatal. Don’t overload your vehicle with things you don’t need. Putting useless weight on your tires is an unnecessary burden that can end up damaging your car and costing you more in fuel.